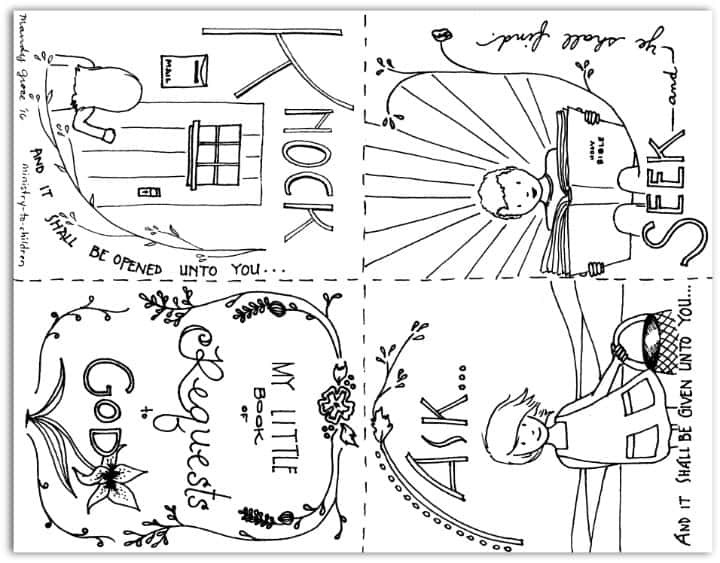 This set of coloring pages form a printable mini-book that children can use to memorize Matthew 7:7-8. Click on the preview above to download the PDF printable of this coloring sheet. This action centered scripture verse is a promise from Jesus that God is ready to answer us when we pursue Him. Don’t miss all our short Bible verses for kids, each one includes its own coloring page printable. Mandy, thank you for providing the bible coloring pages. I use them often. They work great for my 2 – 4 yr. old Sunday School Class. I really appreciate your talent and ministry. Thank you so much for these resources. I am part of a small church that just started and our budget is very small. We were searching every where for worksheets but couldn’t find much without paying an arm and a leg. Your work is great and thank you for creating these worksheets. Tony Kummer (Editor) reviewed & updated this page on : June 2, 2016 at 10:46 pm. All our content is peer reviewed by our readers, simply leave a comment on any post suggest an update.